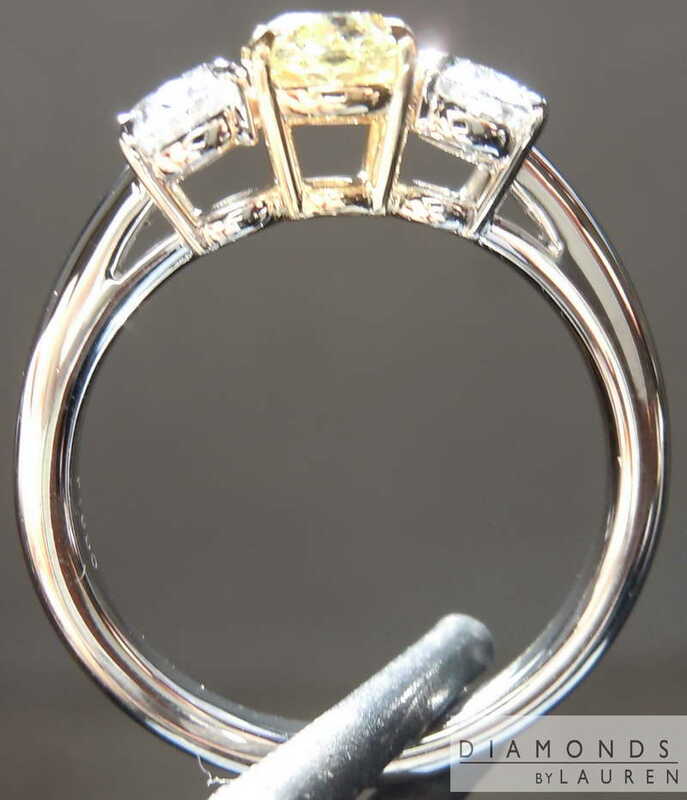 This ring represents the very best in three stone rings. 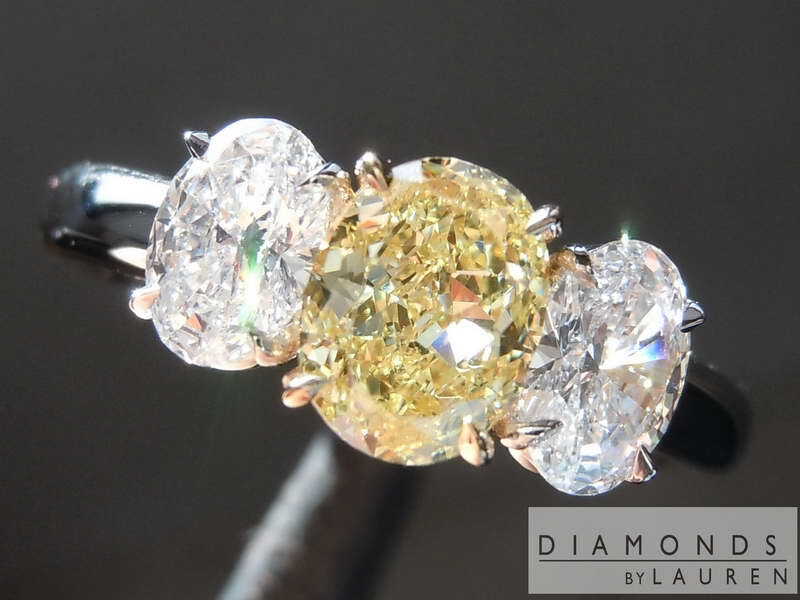 The vibrant yellow in stark contrast to the icy white side diamonds. 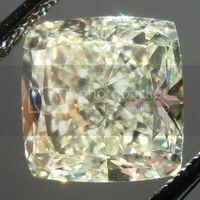 The proportions and light performance of the stones compliment each other. 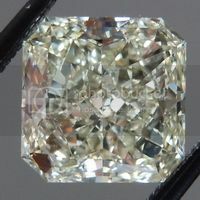 The colorless ovals are super well cut, and totally colorless. 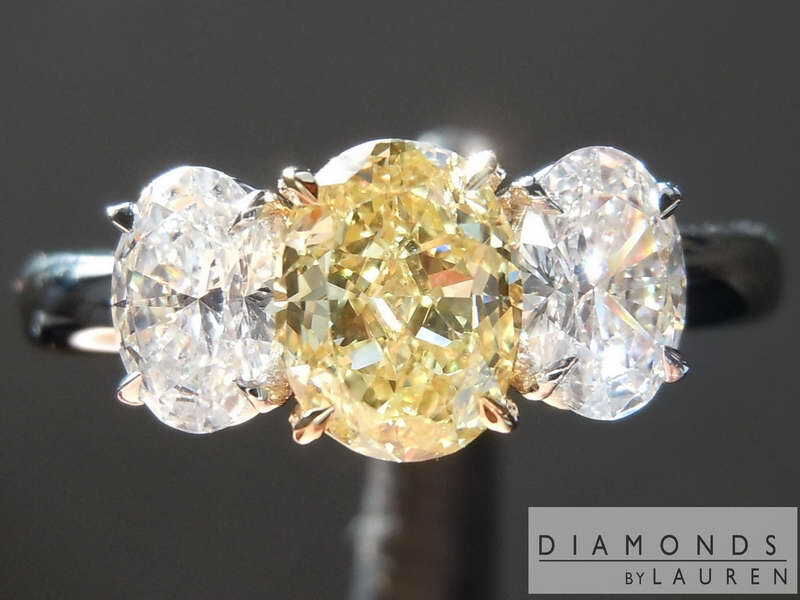 The finish of the ring is impeccable- claw prongs, perfectly done. 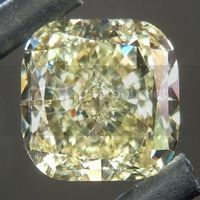 We are very proud of what we do here-= and this is a great example of why we are. 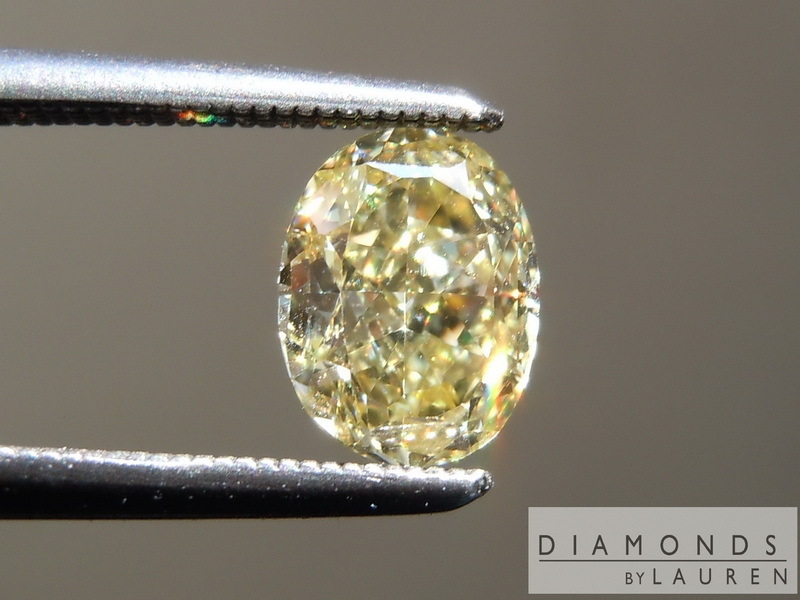 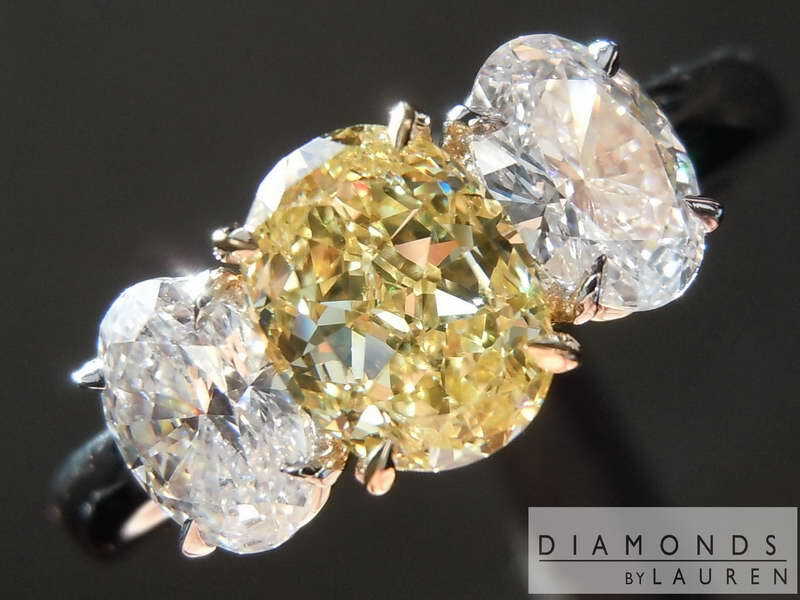 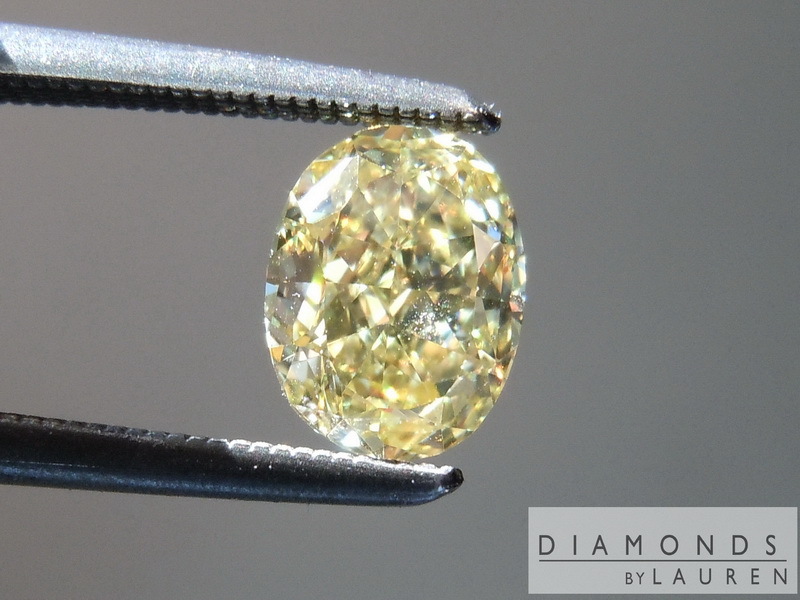 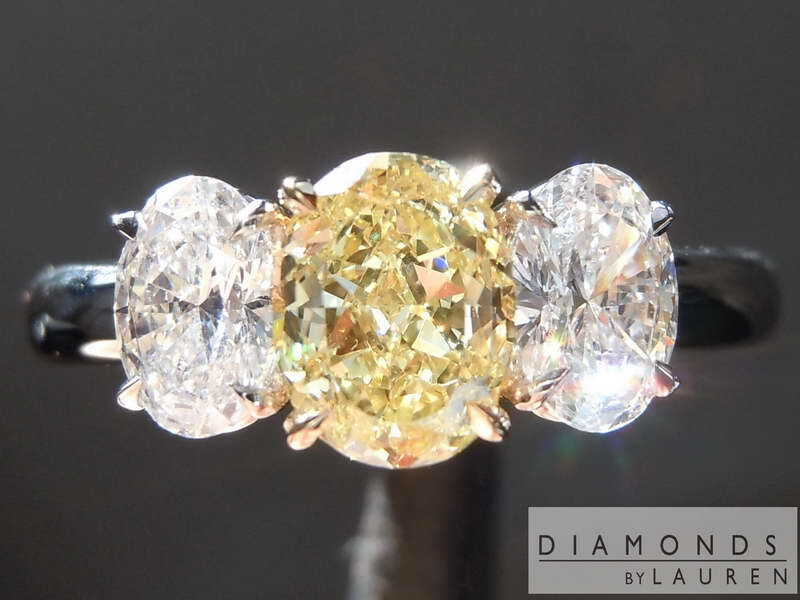 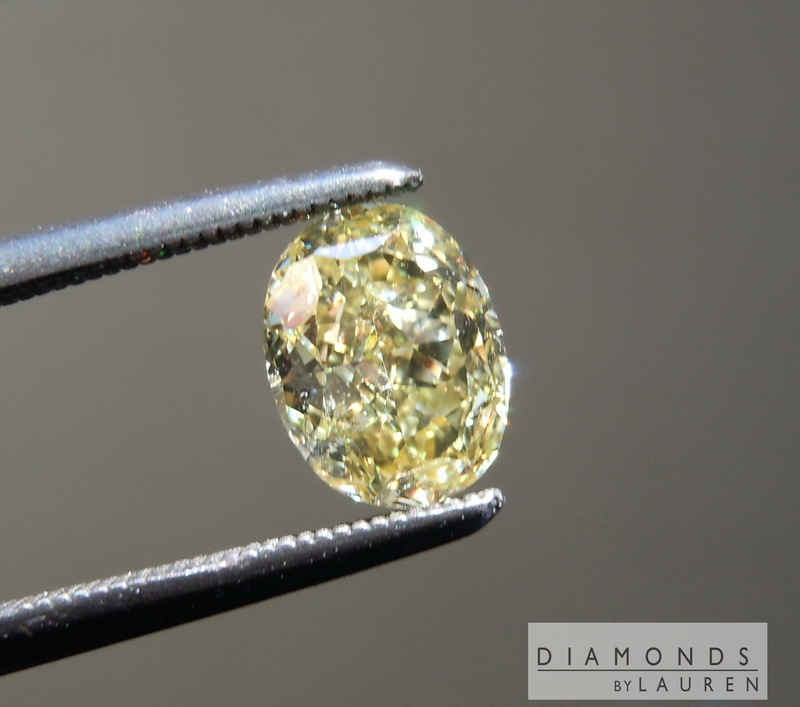 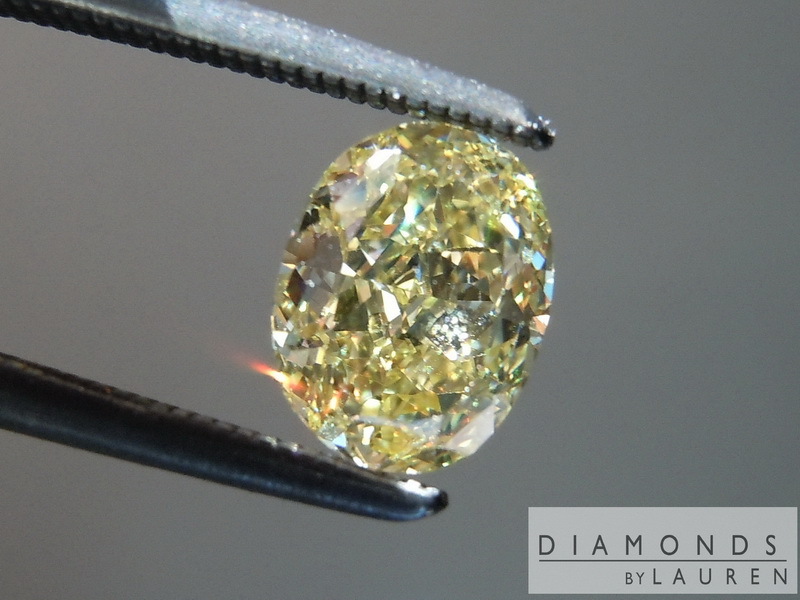 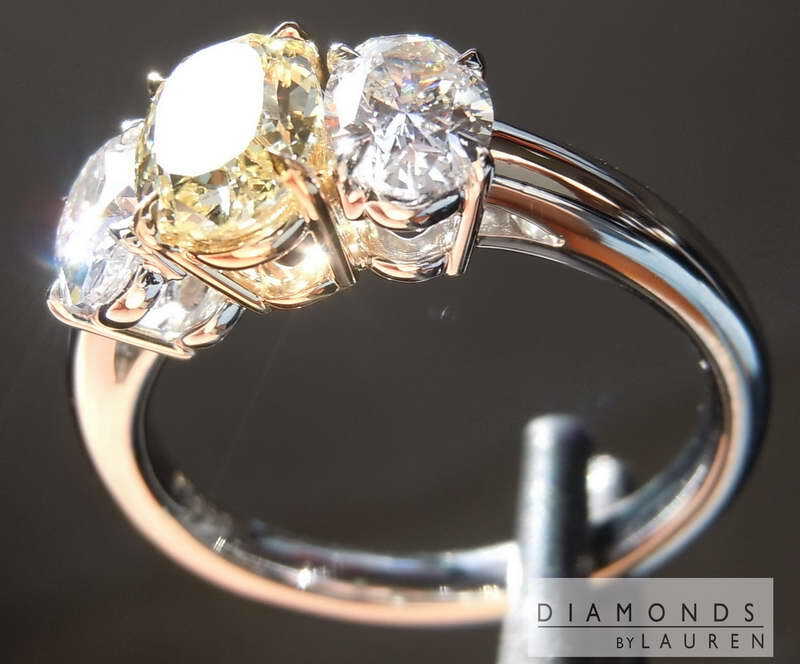 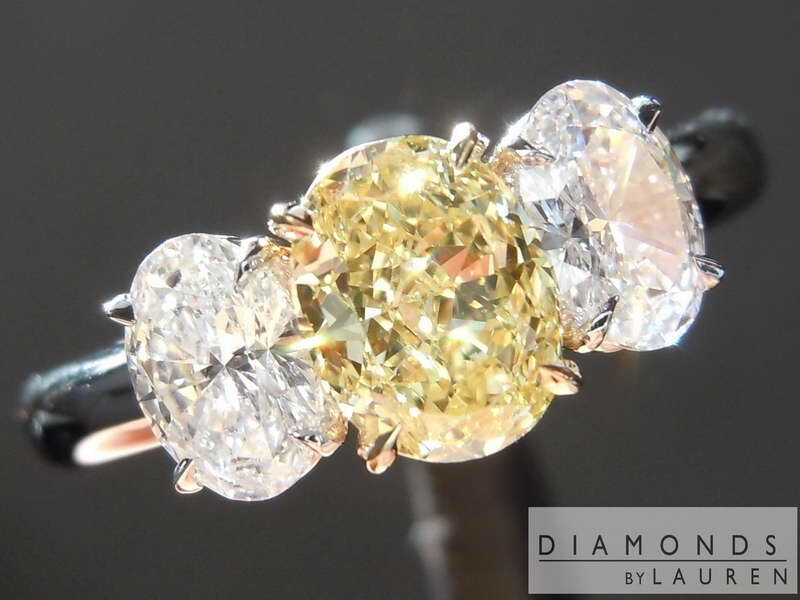 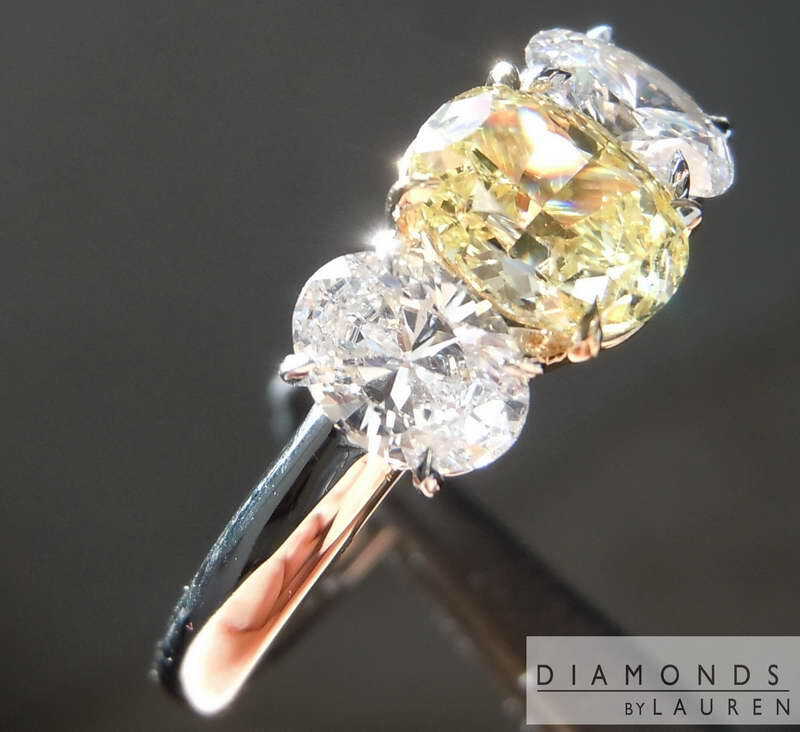 Here is a charming Fancy Intense Yellow Canary Oval Diamond. 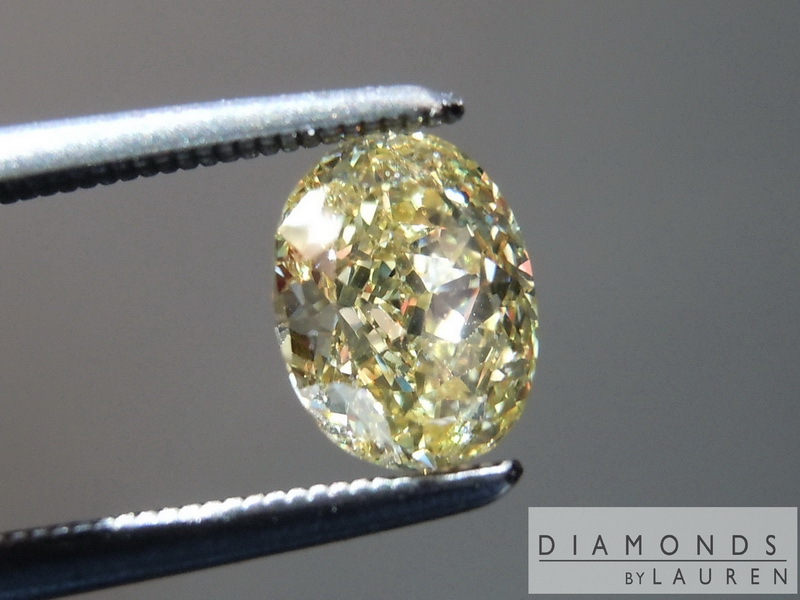 The cut is part of the charm. 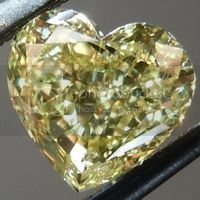 The stone has a wonderful combination of sparkle and contrast - large and small reflections. 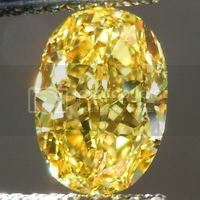 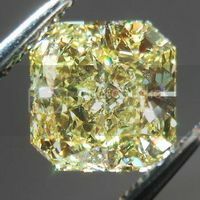 Combine this with a lovely shape, and that gorgeous canary yellow color and you have a special stone. 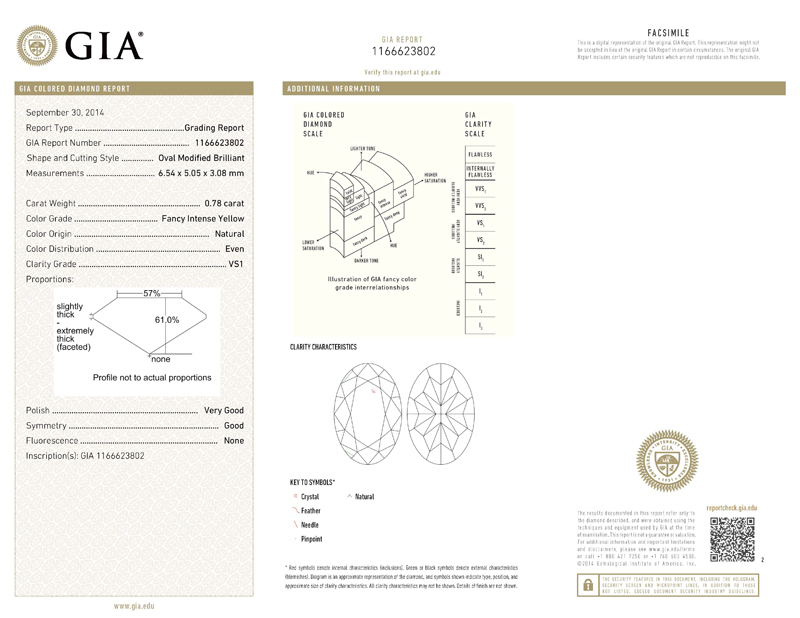 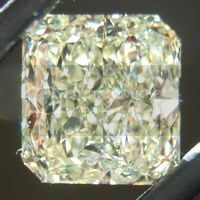 The stone has good size for a 3/4ct.